VIDEO: Chaff deck kit: Could it be the answer to your grass-weed problems? A joint trial investigating the use of ‘chaff deck’ kit to control the return of grass-weed seed at harvest is underway in Essex. As part of its 3D Thinking trials programme, Frontier announced earlier this year that it is to evaluate the chaff deck equipment at E W Davies Farms in Essex and in collaboration with Primary Sales Australia, Rothamsted and AHDB. Black-grass-affected crops: Stick or twist? Brome: Is it becoming a bigger issue? What is a chaff deck? A chaff deck collects the chaff fraction of the post-harvest crop residue, which is then deposited on the ground behind the rear wheels via two hydraulically driven conveyor belts. The theory is that this consolidates the weed seed in a narrow band, instead of spreading it over a 6–8m bout width, and places the weed seeds into a hostile environment, where conditions are more challenging when it comes to germination and subsequent emergence. Ideally, the chaff is dropped onto 'permanent' tramlines which are more consolidated, which again should impact the weed seed's ability to establish. 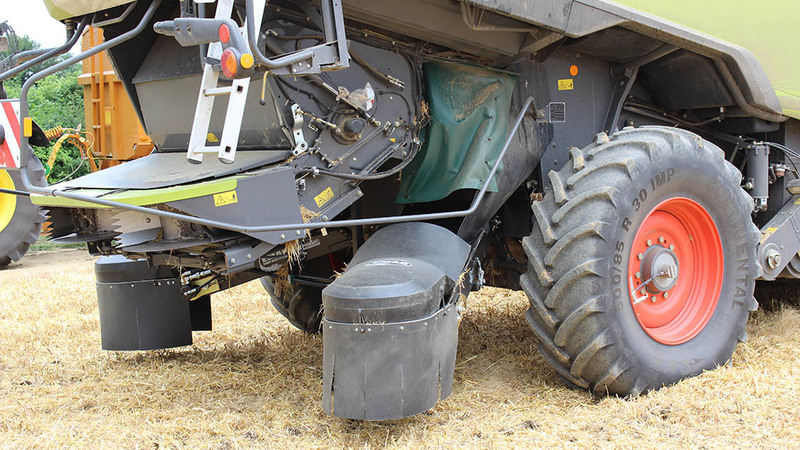 This system is particularly well suited to auto-steer harvesting where A and B lines remain fairly constant from year to year - not necessarily a CTF system. The chaff deck has been fitted to the farm’s 780 Class Lexion combine which has a 12.2m MacDon D65 header and is operated under a controlled traffic farming (CTF) system. The trials aims to evaluate the success of the technology as part of an integrated black-grass management strategy. A crop of Volume winter barley has already been harvested using the chaff deck kit in a field with a background black-grass population of 200-250 heads per sq.m. The trial will compare standard farm practice, which is to chop all straw, against straw removal and use of the chaff deck. The crop was cut on July 11. Spot yields were in excess of 11t/ha (4.5t/acre) and early indicators are that the system worked well, according to Dr Fogg. “It will be interesting to see how it goes as we move into wheat and of course the real test will be the effects on black-grass populations as we establish the next crop,” he added. Retention of weed seeds at harvest varies depending on species and time between seed maturity and harvest. 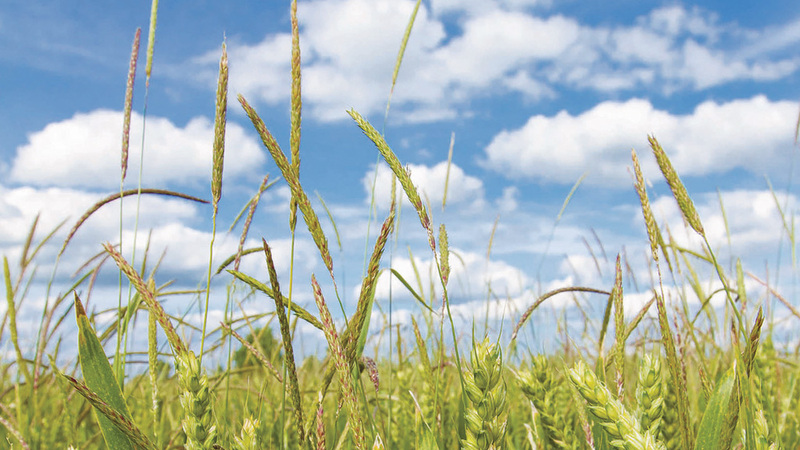 Annual ryegrass, bromes and wild oats have high seed retention at crop maturity. Meanwhile, black-grass can be more variable, with seeds generally shed over time as they mature. To reduce the volume of seed being added to the existing seed bank, various harvest weed seed control approaches can be taken. 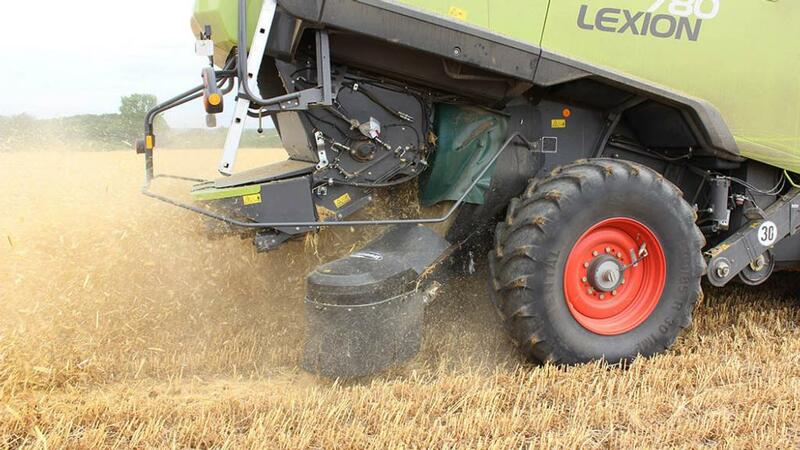 These include direct baling of harvest residues behind the combine, collection and removal of the chaff fraction, harvest seed destruction and chaff lining.